In the middle of one of the coldest and snowiest winters I’ve seen in Northern Michigan, my home’s getting a facelift. While I’m no Marie Barone, with plastic-covered couches, the renos make me off my game. Every night after our contractors leave, the Shop-Vac and I do-si-do. It’s my desperate attempt to stay ahead of the dirt. And I grudgingly admit defeat: the drywall dust has won. 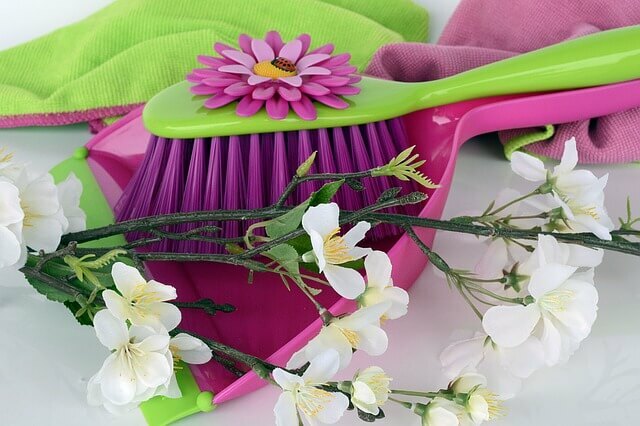 And while there may be some mortals among us—perhaps our loved ones, or maybe even you—who don’t blink at extra dust and cluttered surroundings, there are just as many of us who need the stability of a calm, clean, clutter-free home. Clutter affects our ability to focus, our productivity, and our information processing. The same issues surrounding clutter in our physical lives cross over to our digital lives. In 15 years as a graphic and website designer, I’ve had my share of clients who are the equivalent of digital hoarders. They’re distressed by the prospect of eliminating elements on their sites. Sometimes, they’re emotionally attached to a unicorn color palette, or insist a sidebar with 10 badges is necessary. Website clutter could be killing conversions or, at the very least, frustrating and confusing visitors. In other words, when you have too many things on your website competing for visitors’ attention, they’ll get overwhelmed, and tune you out. And it’s tough, when you’re in your business, to assess what items on your site are useful for your customer’s journey. 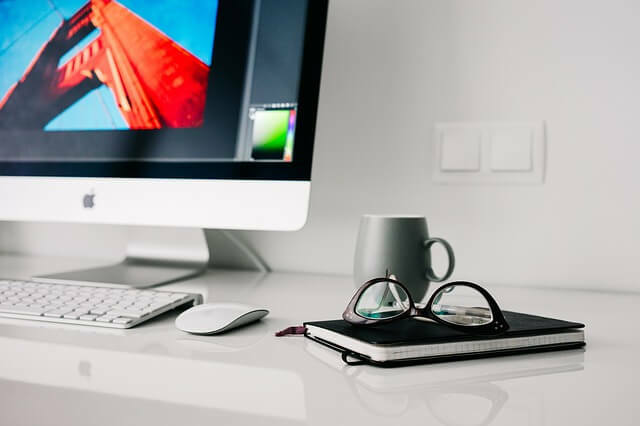 So today, I’m going to help you take a more objective look at your website, and clear away some of the unwanted dust and clutter. You’ll remove some of the things that could be distracting potential clients and customers from making a decision to hire you (or buy your products/services), and improve your website’s loading time, and readability, too. Unless you’re Amazon, you probably don’t need 100 links in your website navigation. While this will be dependent on your business model and site size, consider pruning your primary/parent navigation items to six or fewer. While you’re at it, see what else you can eliminate from your header. For example, you don’t need social media links or icons there. All they do is take people away from your website. Reduce its height, so the more relevant content shows up higher on the page for both desktop and mobile visitors. 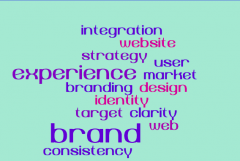 Try to have a single purpose for each page of your website. For example, if you offer a social media management service, have a page dedicated to that. Don’t have other buttons/links/offers on that page. This distracts from the primary goal of getting someone to learn more about your social media management service, or hire you. Think of it as a well-organized kitchen cabinet—a designated area for each different item. When you assign calls to action, keep buttons and color similar in size and style. This brings a consistency to your website that helps build trust, and sends carefully designed signals to your visitors on where you’d like them to go next. This is different than displaying logos of clients you’ve worked with, especially if they’re well-known, and can help build authority. I’m talking about the “Best Soy-Based Blogger of 2008”-type stuff some people pack into their sidebars. All they do distract, and tell your audience that you care more about awards than being a useful source of information and service to them. Balancing color work is best left for the pros, and even some designers overdo it. If you’re in a transitional phase, and not ready for a total redesign, try a simple design approach that uses mostly white and light gray for backgrounds, black for your text, and one key color for your calls to action and links. We live in a time of great font opportunity (and let’s not talk about my own font-hoarding issues). But all those choices can come a cost—to your aesthetics and to your site’s load time. Here’s an easy rule of thumb to remember. Stick to two fonts—one for your body text, and one for your headlines (headers such as h1, h2, h3). Your body text will need a base normal style and weight (400 works), italics, and bold. To keep the total file size (and impact on your site load time) lower, stick to one weight for those headers. For a list of some of the best Google fonts, check out Typewolf’s recommendations. Choose a serif for your body or headlines and a sans-serif for the opposite. Need more direction than that? Typewolf also has a guide. On some blogs, the bottom of the post area resembles the clutter under the bed of a six-year-old. Share buttons galore, related posts, newsletter sign-ups, post comments, Facebook comments, pingbacks. Put yourself in the shoes of your average visitor. Chances are their kid lost a tooth, and they’re scrambling to write a note from the Tooth Fairy. Or their boss wants the report bumped up for delivery three days early. They don’t have the time for your blog post clutter. They don’t have the brain space to make decisions. So keep it simple and give them a single decision that’s more dominant than any other choice. Eliminate it or significantly decrease its presence, so it’s not competing for visual attention. Not only will you bring your reader relief, but you might find a boost in conversions in whatever that decision is you wanted them to make. Remember your blog isn’t about you. Yes, of course, it’s there to help build your authority and present you as an expert, but the entire experience of being on your website should be about your customers. 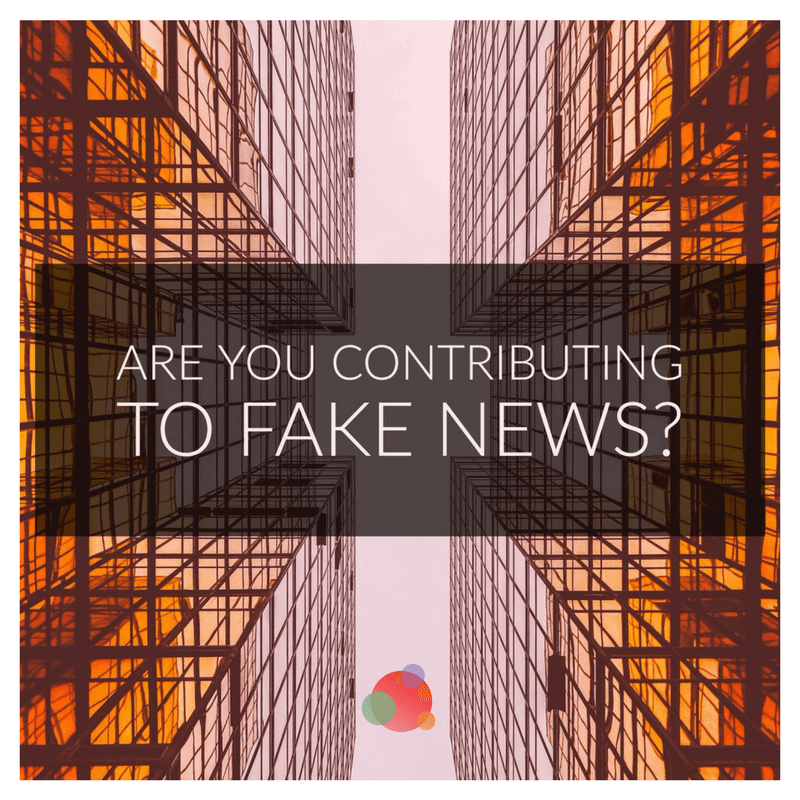 While it would be great if they shared your article, you’re asking them to do something for you. Why would they do that plus the additional other three actions you’ve asked them to take? Keep that in mind, and reduce the options of what you ask people to do. Page load time, especially on mobile, is a hot topic. Here’s how to rapidly address your site speed issues. Optimize images to reduce their file size (and thereby how much they affect your site load time). And carefully examine your plugins. WordPress plugins may seem like an easy way to add enhancements to your site, but every time you install one, ask yourself if what it offers is worth its potential added weight to your website. You can conditionally load plugins only on some pages with the PerfMatters plugin, and you can help boost your site speed with a plugin like WP Rocket. Reduce or remove any scripts loading from third party servers (heat map services that sit on other servers, excessive marketing, and tracking scripts). For the less technically inclined, these tend to be added into your theme’s header or footer area or added via a plugin. Each of those incrementally stresses the load time of your website, and people will leave if it’s too slow. Clean up the broken links on your site. This means fix or redirect your website pages that are returning a 404 (page not found) errors, as well as your outbound links (other websites you link to) that now return 404 or 301 (page has moved) errors. I often see the poor footer of a website relegated to closet corner status. Dump anything in there that just doesn’t seem to fit elsewhere. Instead, have a clear goal and plan for your footer. Make these all a smaller font size than your normal body text. It may make sense to make your link colors in the footer the same as regular text color, to further reduce visual clutter. Have a few extra hours? Use Google Analytics (or another analytics tool) to determine your most popular blog pieces, and see if they need a structural cleanup. Add relevant heading tags, which can both help improve the readability of your article and give you a possible SEO boost. Break content up into lists where it makes sense. Re-read your pieces through the eyes of your target audience. How does it serve them, and can you improve its structure to make it easier for them? Enjoy this fantastic video of a Japanese Moving Company packing an apartment. 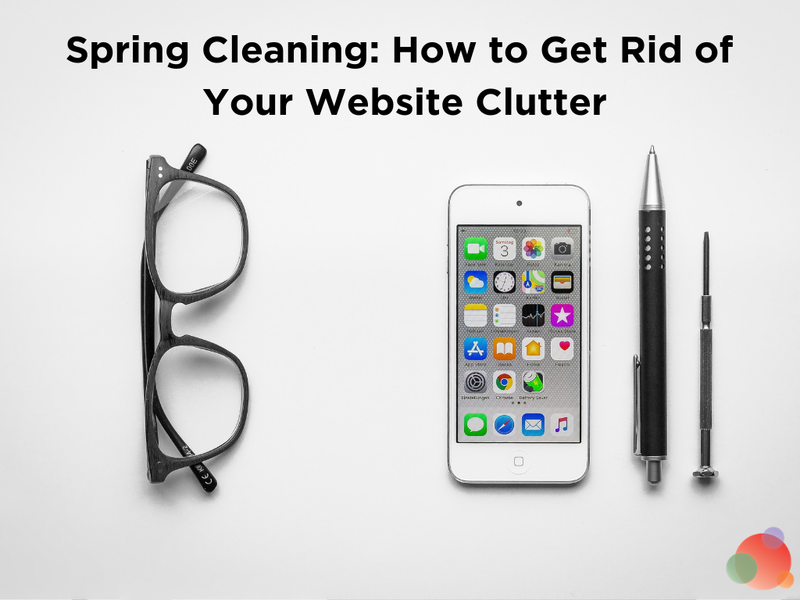 Have you decluttered your website? Share your tips in the comments. Reese Spykerman is a designer who helps people convert more customers through empathic design strategies.